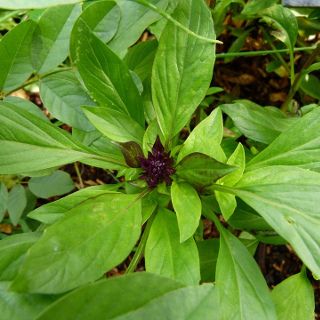 Siam Queen is a cultivar of Thai basil with dark green leaves and purple flower spikes. Flavour is rich, spicy and anise-like, great when added to Thai noodle dishes just before serving. Each packet contains 150 heirloom seeds.